If there is one thing I have really missed over the past 6 months, its denim! From around week 10 onwards I found that I couldn’t comfortably fit into my normal jeans anymore. In the beginning I was so excited for my bump to grow that I hardly gave it a second thought. But I think most pregnant women would agree that you reach a stage where you start to really look forward to being able to wear normal clothes again. And I am definitely at that stage now. I’ve even started investing in non-maternity denim pieces (love the Rag&Bone denim shorts) which I think will also make me super motivated to get my body back ASAP post-baby. I had a conversation the other day with a woman who is also heavily pregnant and she said she finds casual dressing really easy but dressing up difficult. I am the complete opposite! Give me a dress and heels and I can totally rock it but on days off when I reeeeeeally don’t feel like dressing up quite frankly it can be a challenge to get past my underwear. As I’ve mentioned before I am just not a huge fan of maternity jeans so finding casual trousers can be a real problem for me. At heart I’m such a jeans/denim skirt/dungarees and t-shirt kind of gal so the thought of soon being able to freely wear a pair of boyfriend jeans fills me with glee! 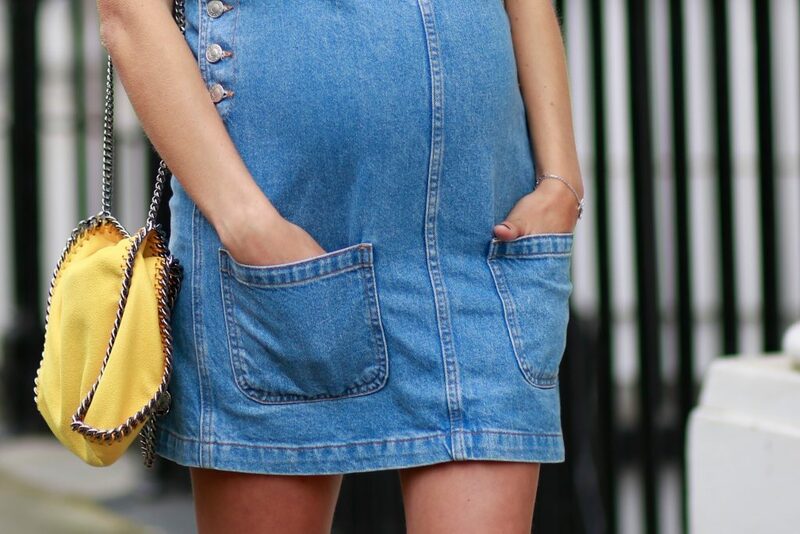 Saying that I have found ways around it – how cute is this Topshop (non-maternity!) 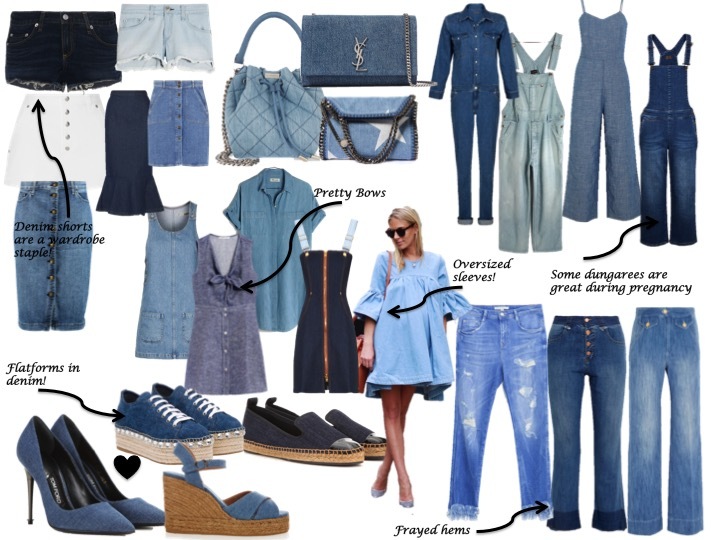 denim dress?